Osun Finance Commissioner keeps sealed lips on the exact debt figure of the state but insists the state is not broke. 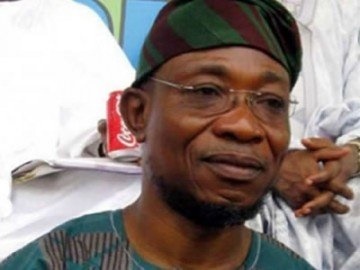 Osun state government has debunked reports from within and outside the state describing the state as insolvent. The state commissioner for finance, Bola Oyebamiji who was speaking to newsmen in Osogbo, the state capital on Thursday said there is no iota of truth in the reports. Oyebamiji kept sealed lips on the exact debt figure of the state government but said that like other development-oriented societies, Osun state has borrowed monies to finance its projects, but such borrowings are not beyond the financial capacity of the state. The commissioner also spoke on the revenue base of the state which he said is still currently far below the projected IGR of N5 billion being pursued by the state. He said the state government under the Aregbesola administration will, however, not overburden its citizens with strenuous tax regimes in a bid to generate funds.